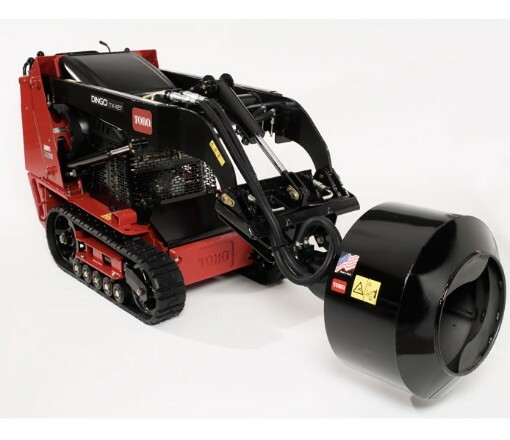 Looking to rent a cement bowl attachment for the Toro Dingo in Rochester NY, Ithaca NY and Western New York? Capable of mixing and hauling up to 200 pounds of dry cement. Precision engineered for auger flighting which enables cement to be mixed and poured without tipping the bowl. Widely respected by professional contractors for its ability to pour cement into postholds when the poles are in place.